A father has denied wrongdoing in a post under the NSW Police’s Facebook amber alert for his daughter after she went missing from the state’s north coast. The 22-month-old, Aria Jane Killiby, has been missing since Monday morning and is believed to be with her father, Leroy Killiby. 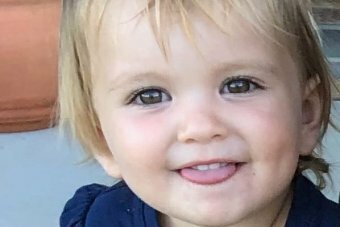 Officers said they searched an address at North Street in Grafton to recover Aria due to “extreme concerns” for the toddler’s welfare. But when they searched the residence the child and her 24-year-old father were nowhere to be found. Around 5:20pm, a social media account belonging to Mr Killiby posted underneath the NSW Police alert on Facebook and claimed “false allegations” were made against him. “There was a recovery order put in place without me knowing or even told there was a mention,” he said. “I was at the court house that day with Aria, I was lodging affidavits for the next day. At a press conference in Coffs Harbor, Detective Inspector Darren Jameson said they were aware of Mr Killiby’s message on their Facebook page. He made a direct appeal to the father to go to the nearest police station and allow authorities to check on the welfare of his daughter. “At this stage we are liaising with our Queensland counterparts in an attempt to locate Mr Killiby,” he said. The father is described as being of Caucasian appearance with a fair complexion, of medium build, about 170-175 centimetres tall with brown hair and a brown beard. 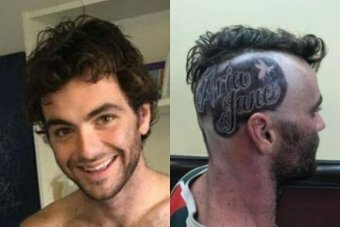 Police said he had recently shaved one side of his head and tattooed the words “Aria Jane” with a wasp motif. It is believed they are travelling in a red Jeep Cherokee with the Queensland registration plates 131XDG and may be travelling towards Queensland. He was known to frequent Tweed Heads and Queensland. Police asked the public to be on alert and report any sightings of Mr Killiby or the car.